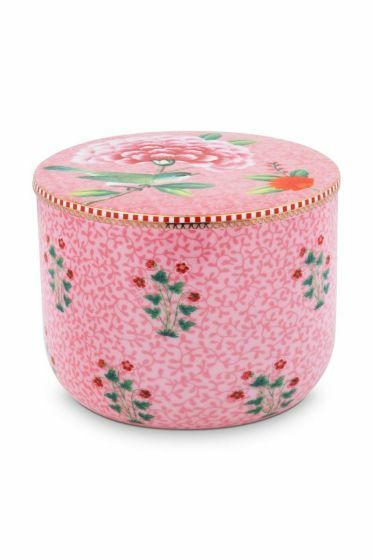 This porcelain pot with lid is the perfect storage place for cotton pads. The pink base is beautifully painted with oriental flowers that continue on the inside. The golden details and the much-loved red and white Pip stripes make it complete.